First of all, find out where you are. Have Time, but no Money? Have Money, but no Time? Don’t have Time nor Money? Offer to help sell the products. For example, if a product is worth P1,500 (whitening product) per bottle, sell it and earn P300 in commissions. After you’ve sold 27 bottles, your commissions will be enough for you to buy an AIM Global package and become a distributor. You can also focus on inviting people to attend the seminar. Since marami po kayong oras, imbita na lang po kayo nang imbita ng mga tao sa Presentation. Bahala na po ang mga speakers sa pagkumbinse sa kanila. Go ahead and sign up as a Distributor, and rely on people above you to pass on referrals to you. In some networking companies, each person may have a maximum of two people directly under them. Beyond those two people, new sign-ups are placed under the people below. Also, with your money, you can hire others to sell the products for you. In other words, use your money to buy other people’s time. Lastly, with your money, buy and use/consume the products. Once people around you see the benefits of those products (because you end up becoming living proof that the products work), they will approach you and either buy products from you, or sign up under you as a Distributor. Either way, you save TIME. We’re assuming you don’t have enough time or money, because you’re busy working on a low-earnings project. In this situation, the advice is: Save Money. Set aside 10% of your gross monthly earnings until you have enough funds to buy a Distributorship Package. Then hire people who will sell the products for you. Since you’ll usually get a 25% discount, offer 20% of that to your hired salespeople. 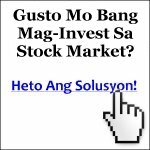 For example, if the product is sold at P1,500 per bottle, your sellers will get P300 per bottle sold while you earn P75 per bottle. As you can see, you have no excuses. There’s always a way for you to solve your problems. For example, please see Blogging and Network Marketing, kasi libre po mag-blog, tapos kikita pa kayo.